Die dpa hatte von unsere Rekord-Decke berichte. Gestern erschien in der Rhein Zeitung ein Artikel dazu. 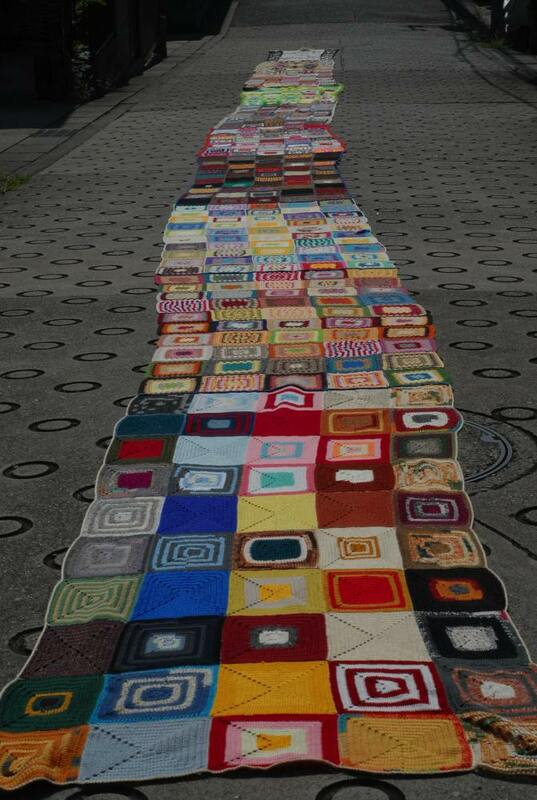 The German Press Agency kindly reported on our record blanket. Yesterday, the German newspaper “Rhein Zeitung” carried the article. 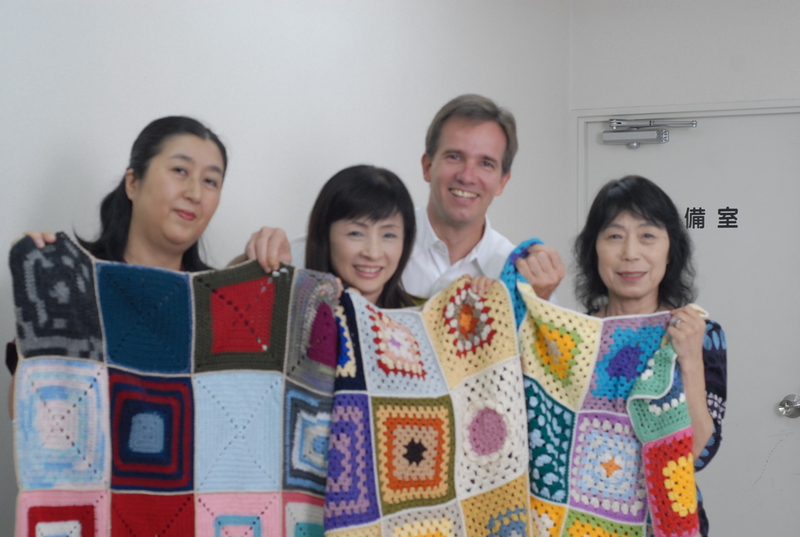 The German Press Agency has kindly mentioned ‘Knit for Japan’ in an article to their subscribing newspapers. 2 German newspapers already have published the article. Here the link to the article on Main-Netz. Of course, the article is written in German. We have wonderful warm weather today. So I took the roll of 10 blankets outside, to take a pictures. 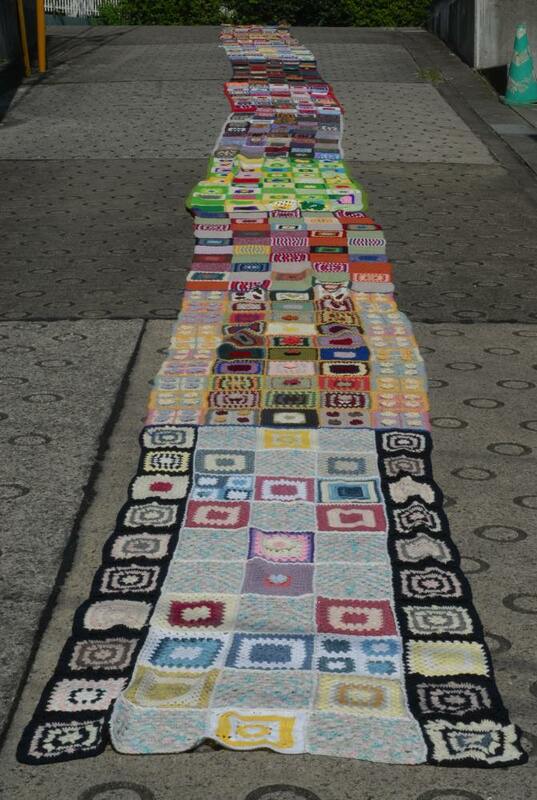 The piece is 20m long and 1 m wide. Next week, we will connect 20 of such rolls into our blanket of 400 sqm. Over the past weeks I received several finished blankets. To prepare for our final event next week in Ishinomaki, I already joint 10 blankets into one large ribbon. Unfortunately, today we have rain, but should the weather allow, I will take a picture of the ‘Roll of 10’. 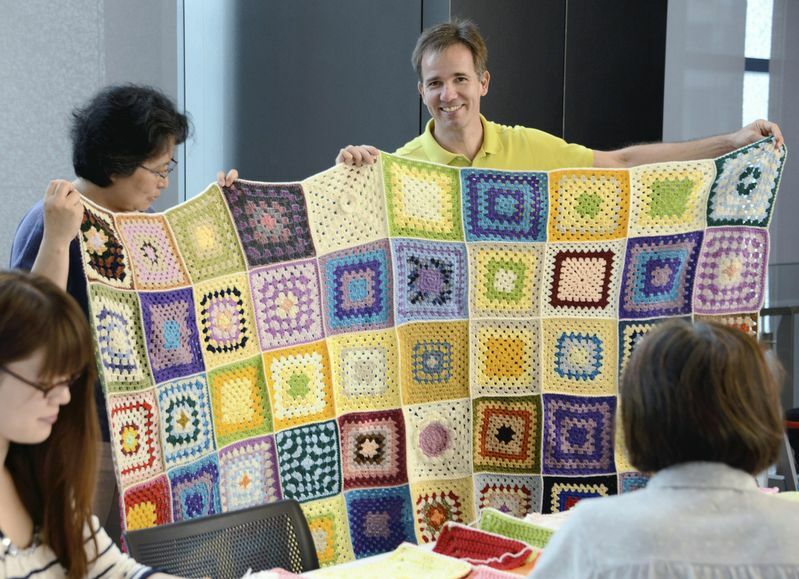 Today we had our 2nd workshop to connect more Granny Squares. Many supporters joint us at the Yomiuri Shinbun headquarter. We managed to finish 2 complete blankets. 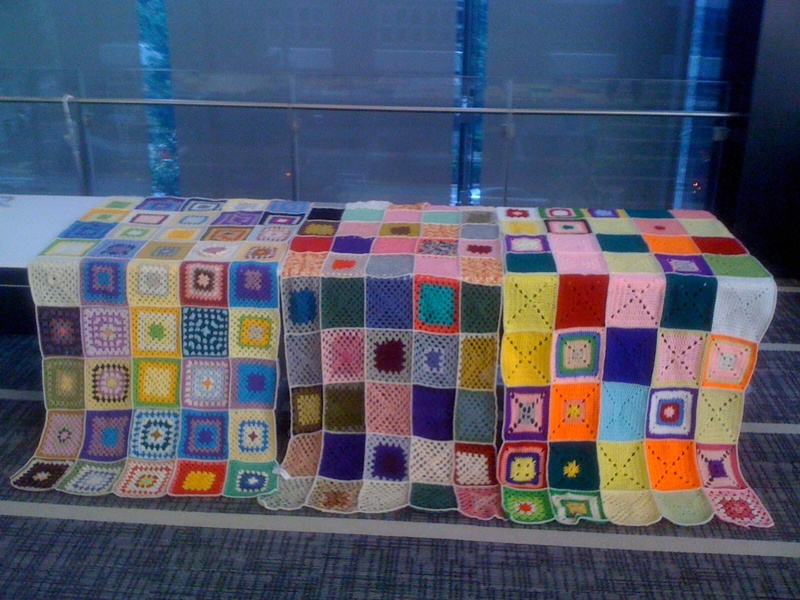 Last week one of the ladies took a blanket home and brought back today. 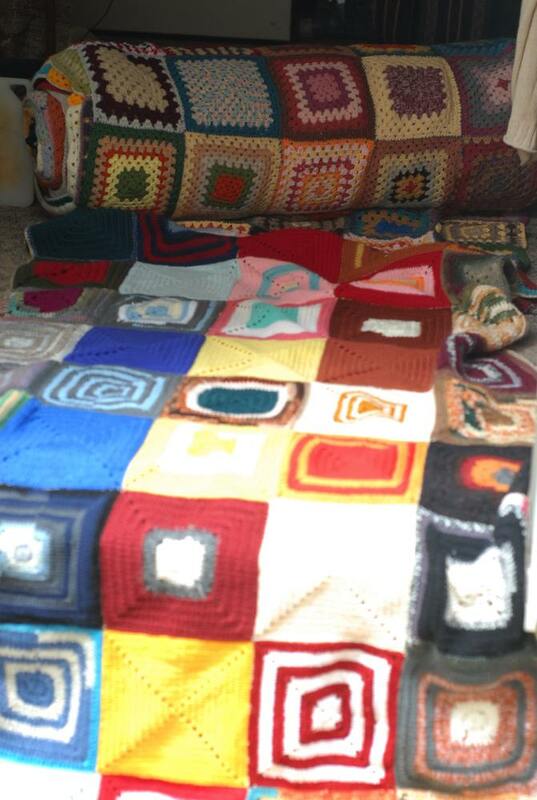 So we have 3 more blankets ready for our world record attempt in September.